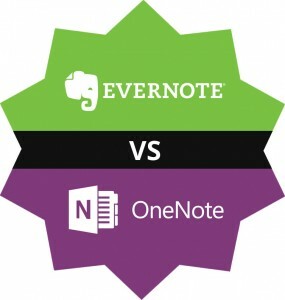 Like many people, I have struggled with the “OneNote vs Evernote” decision. After all, when a tool holds so much of your personal and professional knowledge and life, you want to make sure you are using the right tool. I have used both tools for years, so I decided to put together this article with my experiences to help others make the choice that is right for them. 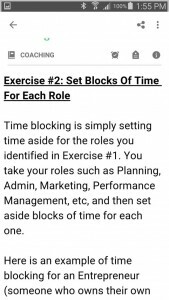 For the purpose of this review, I have chosen only the free version of both tools – the paid version of Evernote does offer some additional functionality but I haven’t included those features. I came across OneNote years ago but kind of ignored it. My wife liked it and thought it would work well for me, but at the time I just didn’t “get” it. Later, when looking for “buckets” to keep all my information in, I came across Evernote and spent a couple of years using it. 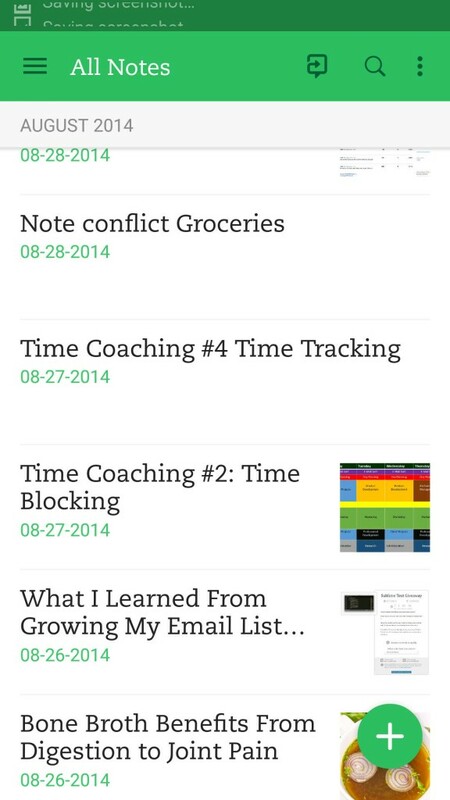 Evernote became my default place to keep all my notes, web clippings, checklists and templates. Later, when I became concerned about the direction Evernote was taking, I switched to OneNote to test to see if it would work for me. After using both tools extensively, here are my impressions. The two tools have VERY different approaches. Here is how each tool’s approach seems to me. The biggest difference is how you organize your notes in each system. 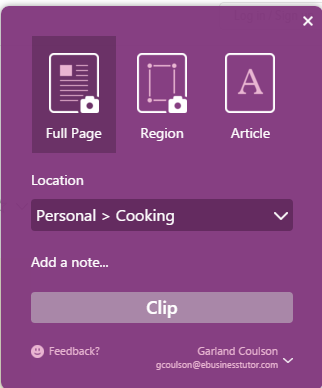 OneNote calls notes “pages,” so if I use the word page, it means note. 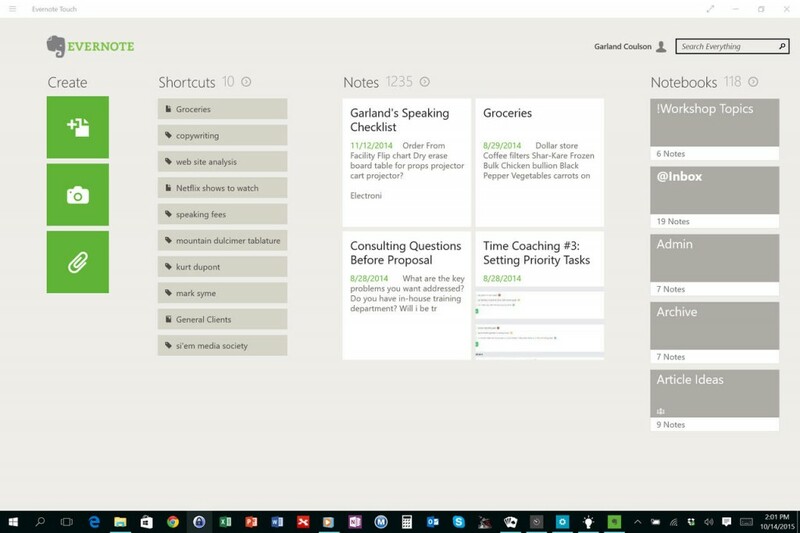 So the big difference here is that OneNote gives you many more levels or hierarchies for organizing your notes. Evernote lacks this. Some people use elaborate tagging systems within Evernote to simulate hierarchical functionality but it is a cumbersome way to try to add a functionality that Evernote isn’t set up for. Evernote’s approach is that search is more powerful and faster than finding notes by travelling through the various levels. So Evernote uses a combination of Search and Tagging to be able to find your notes and avoids hierarchical structure. Overall, I prefer the additional organizing options that OneNote allows me within each notebook. Taking notes is great. But being able to find them quickly is crucial. 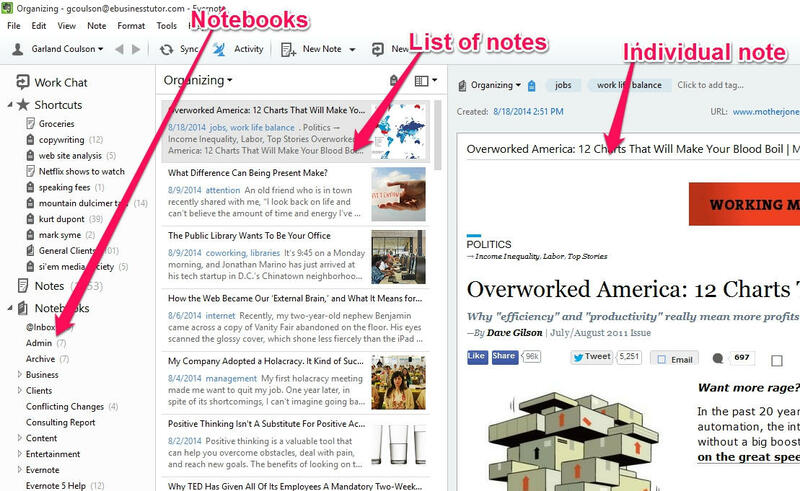 For both Evernote and OneNote, the primary way of finding a note is by Search. Search is usually much faster than travelling through levels of information to find what you want. Here is a search example for each tool. Note that both searches find lots of results. 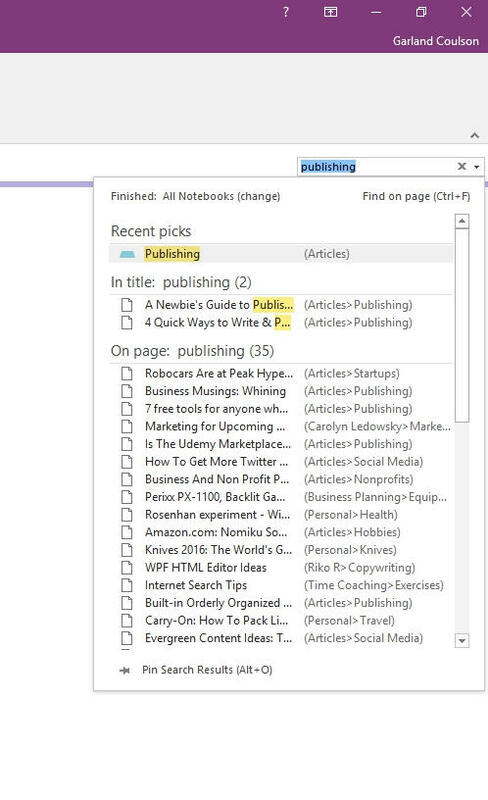 OneNote shows results for a keyword search in Notebook title, Note (page) titles and On Page (text found anywhere on the page) . 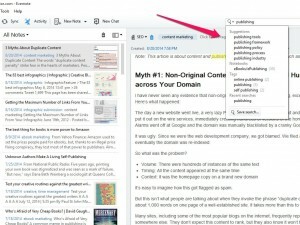 Evernote shows similar results but also show any tags you have with the search phrase. In the beginning, I found Evernote’s lack of hierarchies frustrating, but eventually I realized the power that tagging could bring. For example, when you add a note to a notebook, it is only in a single place. But you can add multiple tags to a note to have it show up in many different types of search. OneNote’s “tag” feature doesn’t work like this, instead it us more used to label notes as to-do items, passwords, critical, etc. So OneNote’s tags can’t be used the same way. Overall, both tool’s search functions work well, but the tag feature of Evernote gives greater flexibility to “curate” your search results. 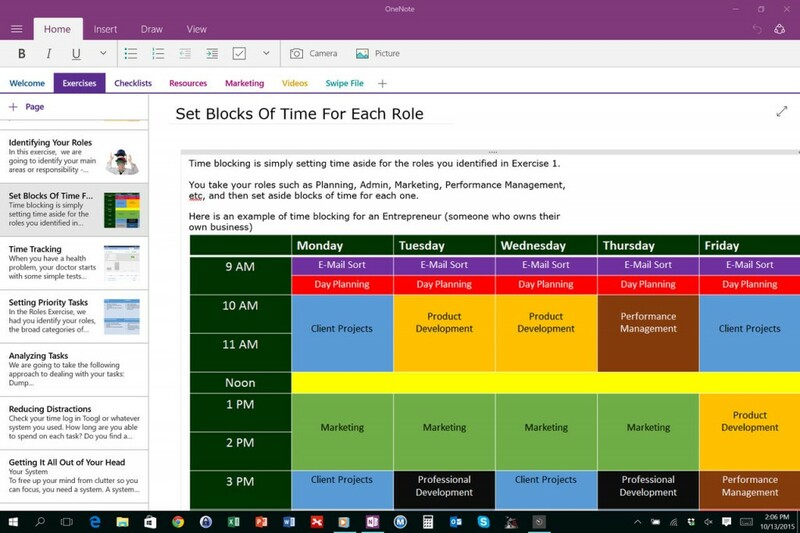 OneNote is more visual – each element can be moved and positioned more exactly. Working within a note in OneNote is more like working on a physical notebook page. 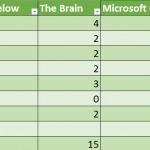 OneNote is also better at tables and pictures and has most of the capabilities of Microsoft Word built right in. Another feature of OneNote I like is the Format Painter which lets me copy the formatting for any selection of text and apply it to another. OneNote also supports mathematical equations and symbols, making it a must for people who work with these. Evernote is much more basic in its notes. Yes, you can add pictures and tables, but you have much less control over them. Both OneNote and Evernote allow drawing by mouse, touch or stylus, but I find that OneNote provides greater options and control over the process. Both also allow handwritten notes. What a difference a few years makes. A few years ago, mobile was hardly on the radar for most of us. But now, for me and many others, no matter how fantastic a desktop software tool is, it is largely useless if there isn’t a good mobile version of the tool as well. 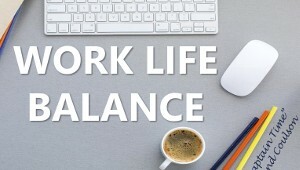 I work on multiple devices – a desktop computer for everyday work, my Surface Pro 3 tablet when I am being a digital nomad and my Galaxy Note 3 when I am out and about. So my primary information and note taking tool HAS to work on all three of my devices. 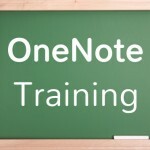 The good news is that both Evernote and OneNote have good mobile versions of their tools. Here is a screenshot of the menu of notes in OneNote on my Galaxy Note 3. . You can click on the screenshot to see a larger view. Here is a similar screenshot of a single note on Evernote on my Galaxy Note 3. Overall, I slightly prefer Evernote’s menu on the smart phone because it has a small picture icon with each note. But, working in an individual note on either Evernote or OneNote is much the same. 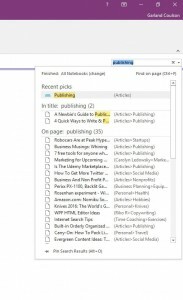 OneNote uses a pull down menu to access editing features like indent, bold, etc where Evernote uses small icons on top of the keyboard, but both work much the same. I feel the OneNote interface for tablets is gorgeous. 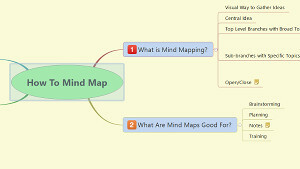 Very intuitive and easy to find everything I need. Evernote’s tablet interface is functional but looks bare bones by comparison. I find the desktop versions stack the same way as well. Web clipping into either of these tools is a fantastic way to save information you find on the web. Web clipping allows you to push a button in your browser and save a web page to your note system. This creates your own personal knowledge database you can tap without having to search through millions of sites online. Here is a screenshot of both web clippers. 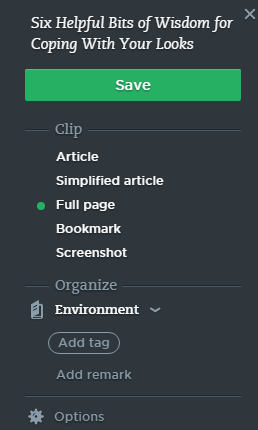 Both clippers work well, allowing you to choose where to save the clip to and whether to clip the entire page, a region or an article, but Evernote gives you more control over the process and settings and lets you add tags for additional easy retrieval. Support for both tools is a bit spotty, especially for the free versions. 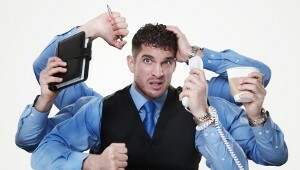 Evenote does offer a help button within its software that takes you to an online help area that has a knowledge base. To get live support, you have to upgrade. Evernote does have a very vibrant and helpful Evernote Community Forum where other users provide helpful advice and troubleshooting. 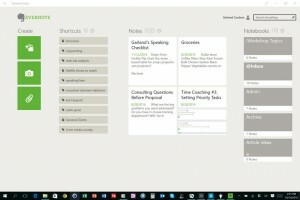 OneNote has an online help community as well but it is not as well attended. The support people for Microsoft do answer questions in the community but usually just generic links to knowledge base articles. I have actually found the Evernote peer help in the community to be better than the help offered by Microsoft staff for OneNote support. Both tools offer password protection. With OneNote you can password protect both notebooks and sections. With Evernote you can only password your entire account, not individual notebooks or notes. No matter how good a tool is, we still need to use other tools as well. So it is helpful if your knowledge database can connect with some of your other tools. Both of these tools have a number of integrations and 3rd party add-ons. Here is a partial list. If you need a tool to integrate with a particial system you use, you should check into whether there are integrations for Evernote or OneNote first. For both tools, you can get additional integrations with Zapier or IFTTT. Overall, there are a lot more integrations and 3rd party add-ons for Evernote. Overall it says this is a complete XML export of your notes. Overall, OneNote gives you more options to export – I particularly find the .pdf and .docx (Word) formats to be useful. With the free version of Evernote, you can share notebooks but the permissions for these shared notebooks are read-only, so you would have to upgrade to collaborate fully. OneNote, on the other hand has the collaboration at the free level so you can see others currently viewing and editing the notebook. 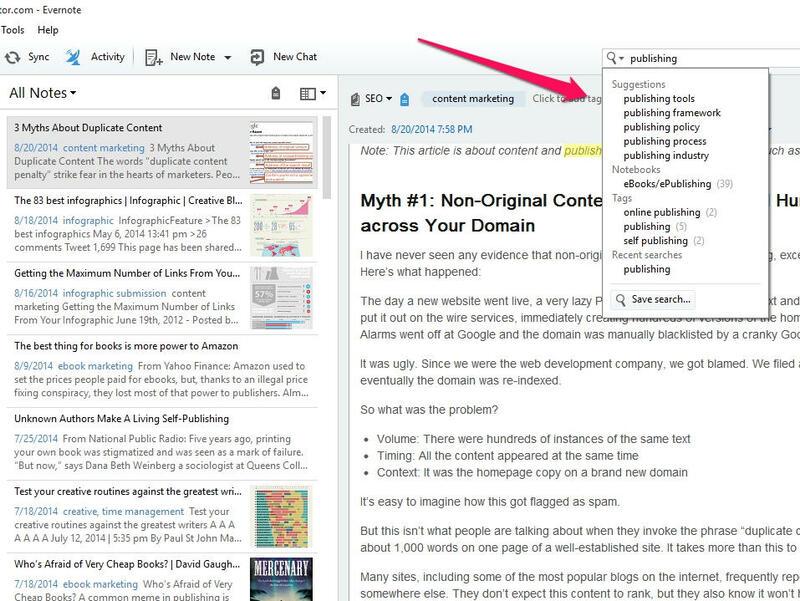 This feature is commonly used by business teams and in classrooms to collaborate. Storage is hard to compare on these because they work differently. OneNote free version comes with 15 GB of cloud storage. I have Office 365 so I have a total of 1 TB of storage. Evernote has no actual storage limits, but limits the monthy data upload to 60MB. So over time you could have a lot more data with Evernote than OneNote but if you are a heavy monthly uploader, you could run into problems with Evernote. So the best choice for you will definitely depend on your useage. 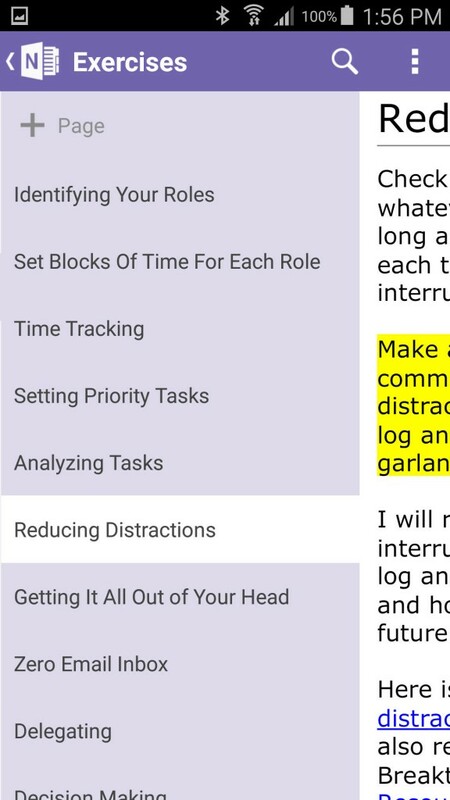 Let me state right off that I don’t think EITHER of these tools should be used as task management systems. Three are so many better tools out there for this such as Trello, Teamwork, Asana, Outlook, etc. 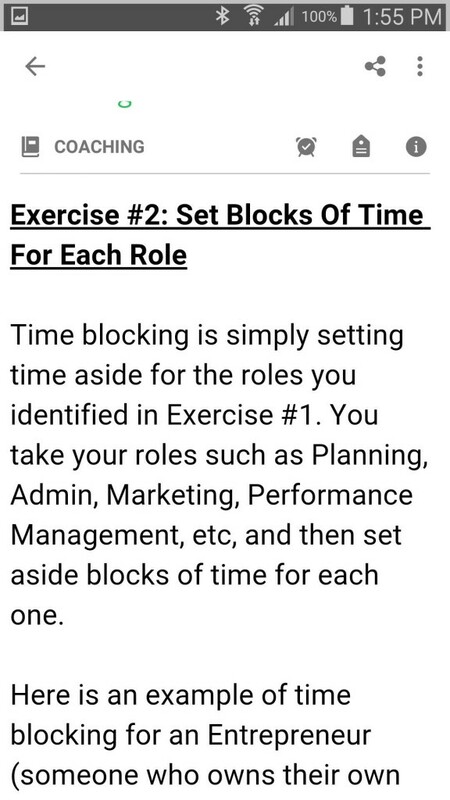 But if you absolutely MUST insist on trying to use these tools for task management, they do have some basic capabilities built in. OneNote has a “tag” for a ToDo item that puts a checkbox next to the text you create and then you can find all the todos across all your notes but doing a search for the todo tag. 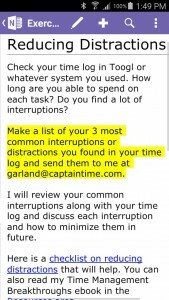 But this is only useful for creating a todo list – it has no capability of setting due dates or assigning a task to anyone. You can, however, right click on any block of text and then create an Outlook task. Evernote does have a very simple reminder function you can use to create a reminder. 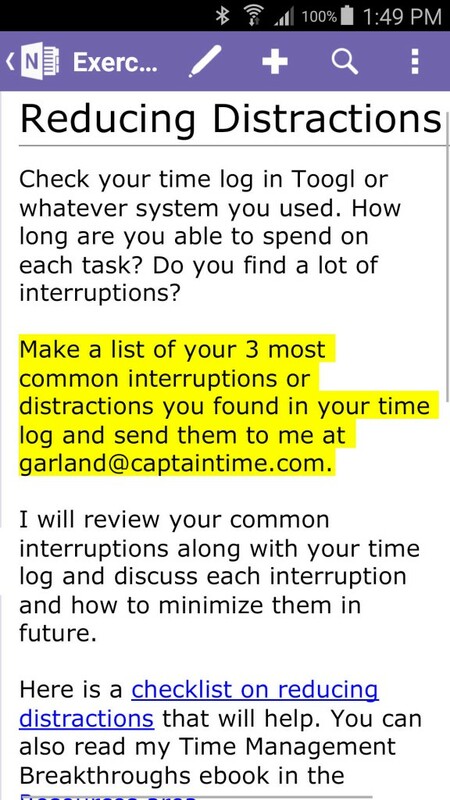 So you can have a due date, but cannot assign the task to anyone. 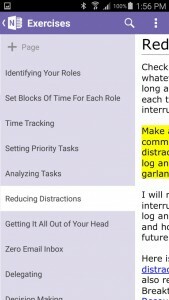 Overall, OneNote works a little better for this as the reminders tie directly into a real task management system – Outlook. The different approaches do allow for each of these tools to have some cool features the other one lacks. Here are a few features I really like in each that the other lacks. 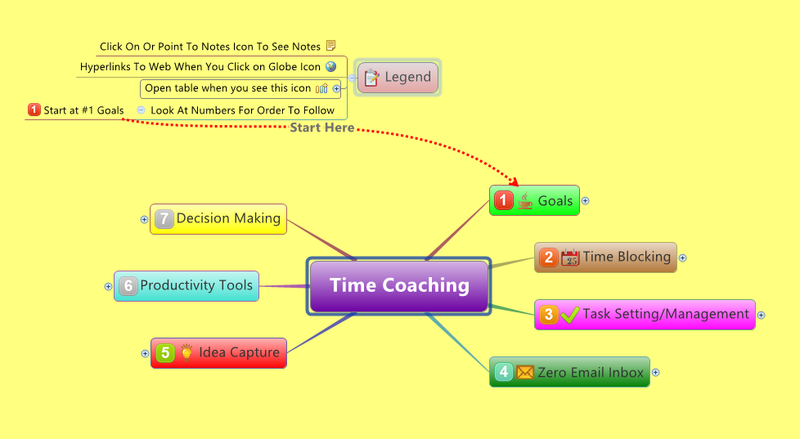 Notebook Sharing: I create my time management coaching manual totally within OneNote and share it with my clients. 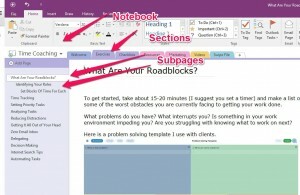 OneNote has better layout for this as I can add tabs with pages under each. No advertising in their free version, unlike Evernote. When choosing a product like this we want to trust that they will continue to be there for us in the future. We want to know what does the future hold for these products? 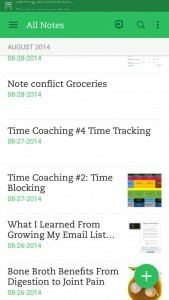 Evernote has raised several flags for me with some of the actions over the last few years. Here are a few examples. While OneNote is less responsive to customers, they seem to do a good job with refining each version to make it work better each time without messing up features I depend on. Both tools can be made to do what you want as long as you learn to master it. 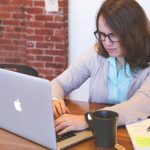 But, while I love many features of Evernote, their actions over the last few years have made me hesitant to commit so much of my work and personal notes and information into their care. I have migrated to OneNote and am very pleased with the results and evolution and especially the greater control over formatting and shared notebooks. YMMV (Your Milage May Vary). Everyone’s needs are different. This is a very subjective decision and there is no right or wrong choice. Feel free to contact me about your plans and I can help you choose the right software for your needs.